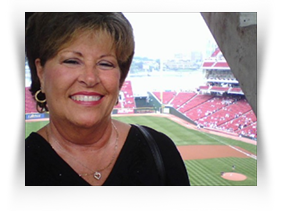 Pat has been in the travel industry and worked in the Sanburn office since 1983. She has traveled extensively, including England, Scotland, Ireland, Spain, Greece, Hawaii, Mexico and the Caribbean. In addition she is an experienced cruise agent, having traveled on various cruise lines. If you would like to contact Pat for assistance with any reservations, you may call her directly at the Sanburn Travel office at 765-860-7958 or you can email her by clicking on the link below.